A disability can be crippling…and not just to an individual's body but also to their ability to earn a living. Disability can also harm a family's overall financial plan. It can harm it even more so than the death of the "bread winner" in the family. This is so because the disabled individual still has expenses to pay including medical and that of ongoing care. The answer to such a family tragedy is a thing called disability insurance. However, many family's financial plans don't include this because they simply don't see themselves ever needing it. This is not wise. 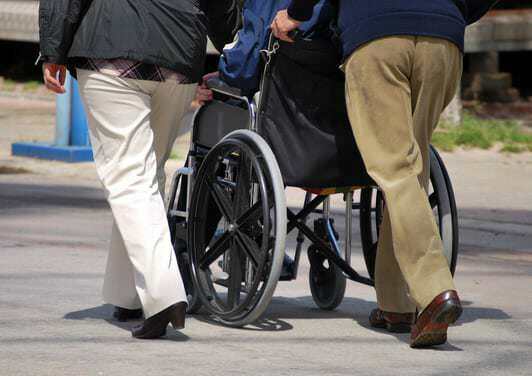 Disability insurance should be seen as an essential part of the family unit's financial plan. Did you know that according to the U.S. Census Bureau in 2010, approximately 19% of the U.S population was living with a disability? Additionally, about 40% of those were individuals of the working force age of between 18 and 64 years old. The Social Security Administration projects that one in four of today's 20-somethings will become disabled before they hit their mid 60s. As you can see, just as important as saving for retirement or college or having an emergency fund, is also having disability insurance. None of us knows what tomorrow has in store. Therefore, obtaining disability insurance is a basic wise and caring action to do for ourselves and loved ones. 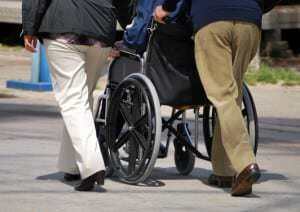 There are three types of disability insurance. They are: employer sponsored plans, private individual insurance and government sponsored plans like Social Security Disability. Most people assume Social Security will automatically take care of them should they become disabled. This is a common misconception. The reality is it can be very hard to get approved for Social Security disability benefits. In fact, in 2010, about 65% of initial Social Security Disability Insurance claims were denied. A second misconception the majority of people have is that disability occurs due to accidents. In actuality, most disability occurs due to illness. The fact is disability can happen to ANYONE at ANYTIME and for reasons you might be surprised by. Do the right thing and educate yourself and prepare yourself as well as your family.